With fan favorites from new adult and urban fantasy bestsellers Rachael Wade, Nikki Jefford, Stacey Marie Brown, Alyssa Rose Ivy and Heather Hildenbrand. Five full-length novels only 99 cents. Amaranth by Rachael Wade – Camille moves to Southern Louisiana to escape her abusive past, not expecting to fall in love and plummet into the world of Amaranth, a place of exile for reformed vampires. Aurora Sky: Vampire Hunter by Nikki Jefford– Thanks to her rare blood type, Aurora’s forced to hunt vampires in Alaska. Now Aurora’s only friends are groupies of the undead and the only boy she can think about may very well be a vampire. Darkness of Light by Stacey Marie Brown – Ember has never fit in. After she lands herself in a facility for troubled teens, she meets the darkly mysterious and hot as hell, Eli Dragen who is keeping secrets that can’t stay hidden much longer. 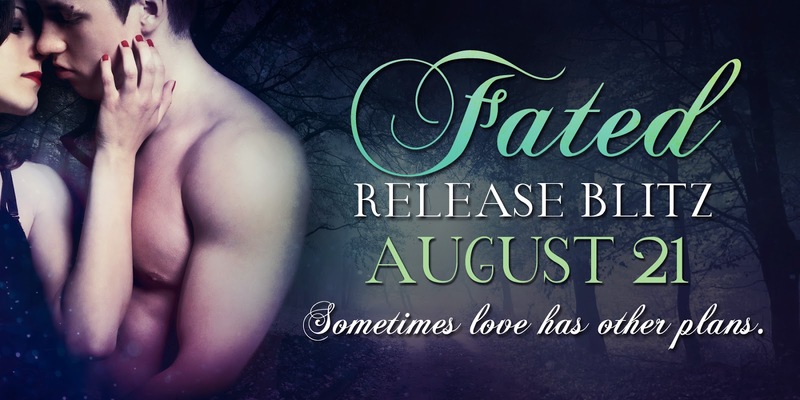 Flight by Alyssa Rose Ivy – A summer in New Orleans leads to a chance encounter with the infuriating yet alluring Levi. Allie finds herself at the center of a supernatural society and forced to decide between following the path she has always trusted or saving a city that might just save her. Whisper by Heather Hildenbrand – Five months after Whisper is released from the Skye View Wellness Center she stumbles upon an unconscious boy at a bonfire party who holds the key to breaking her curse. Enter to win a custom Fated charm bracelet. 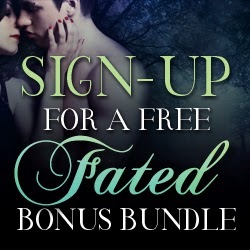 Sign-up for a free Fated Bonus Bundle and chance to win a $50 Gift Card and Live Chat with the Fated 5.